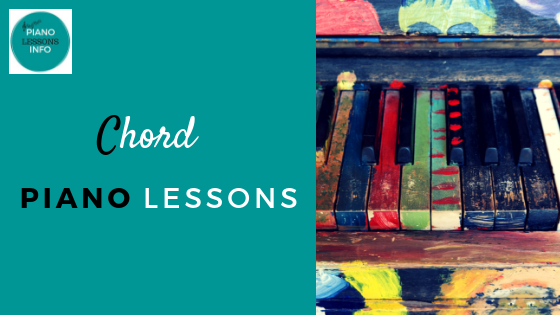 Here are some introductory chord piano lessons. They start from how to play major and minor chords and move onto what to play in your right and left hands. There are 3 videos on this page but you can also read what to do. This video demo teaches you how to make major and minor chords using major scales. Learning the notes and key signatures of a scale makes learning and playing chords much easier. Start with a major scale and play the 1st, 3rd and 5th notes to make a major chord. To make a minor chord (looks like _m or c#m) you must lower the 3rd note by one semi-tone. This means going down to the very next piano key whether it is a black or white key. Practice finding major chords and changing them to minor chords. If you need a reference, check out the chord charts. When playing a chord in your right hand, play the root note of the chord in your left hand. Sometimes a chord will tell you to play a different note but otherwise, the root note is best. For example, with a C chord, play CEG in your right hand and C in your left hand. You can also change the order of the notes in a chord. You don't always have to play CEG. You can play EGC or GCE. The important thing is to play the notes of the chord - in any order. The C chord is CEG. If you change to a G chord, you don't have to move the finger that's playing G. Just move the fingers on C and E to B and D.
In your left hand, you can now start playing more notes. Choose some of the notes of the chord and play them broken (one at a time). Play them going up or up and down. After that also begin adding more notes to your right hand. Play these notes broken as well. Finally, just play around. Experiment. See what you can come up with. What extra notes sound good with the chords? What notes don't sound good? If you want more chord piano lessons and are willing to pay for them, try Piano For All. They will give you more ways to play and continue going through chords step by step. 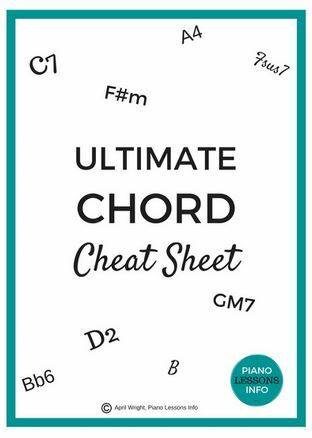 Subscribe below and get free access to the (printable) Ultimate Chord Cheat Sheet. Return from Chord Piano Lessons to Piano Lessons Info Homepage.